The Galaxy S7 edge isn't the newest phone on the block, but it's still an excellent device - it should even get an official 8.0 Oreo update at some point. 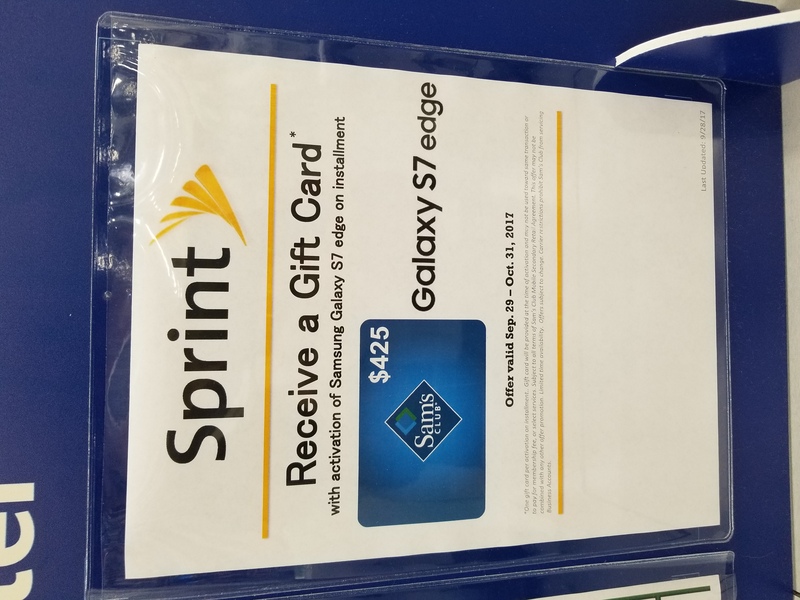 If you're a Sam's Club member and a Sprint customer (or you're willing to switch), you could end up being paid to buy an S7 edge. No, I'm not kidding. 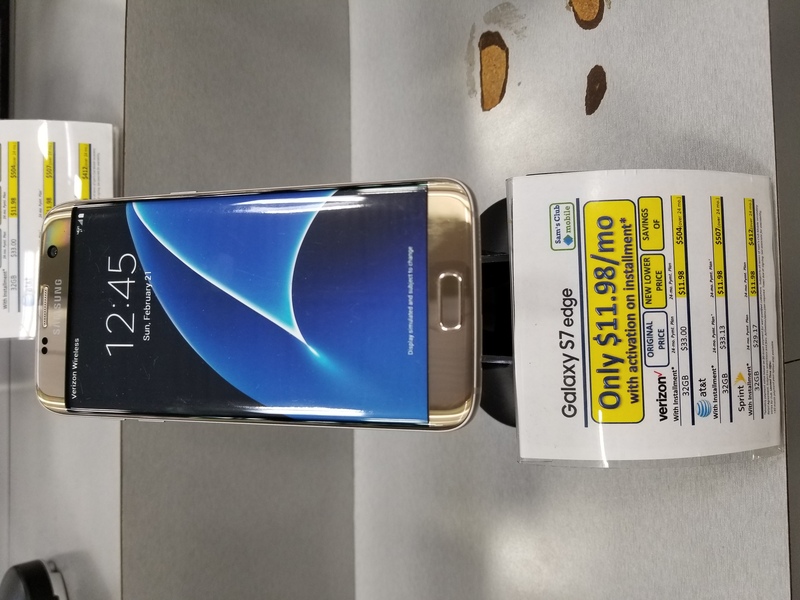 Some Sam's Club locations are selling the Galaxy S7 edge for just $11.98/month for 24 months, which works out to be about $287.52. 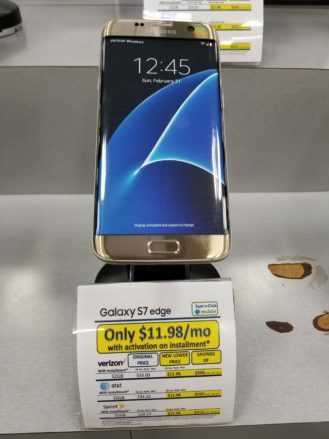 That's a pretty good deal on its own, and it applies to the AT&T, Sprint, and Verizon models. 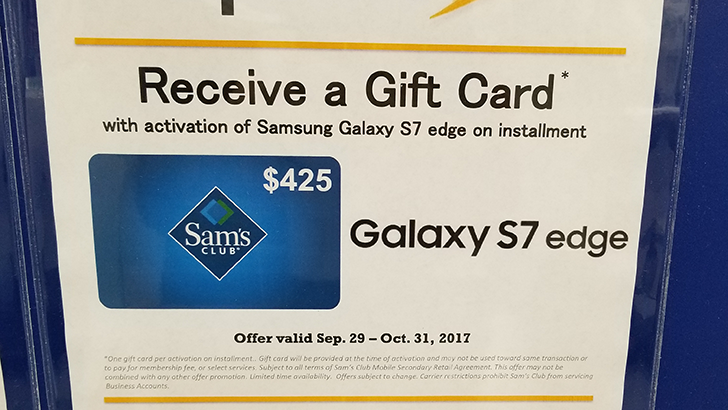 But in addition to that, Sam's Club is running a promotion where you get a $425 Club gift card for activating a Sprint Galaxy S7 edge, from now until October 31. When the cost of buying an S7 edge ($287.52) is deducted by the gift card, you end up being paid $137.48 to buy the phone, minus whatever taxes are applied. Deals don't get much better than that. 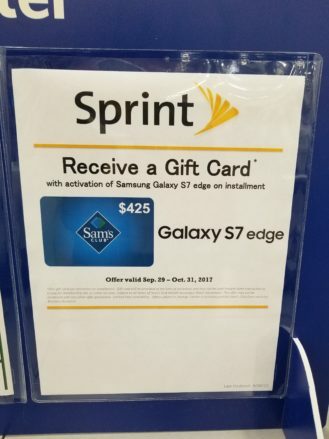 Of course, you have to be on Sprint to get the gift card, and you have to find a store participating in the promotion. According to a SlickDeals thread, some stores are unaware or unable to verify the promotion, so your luck may vary.